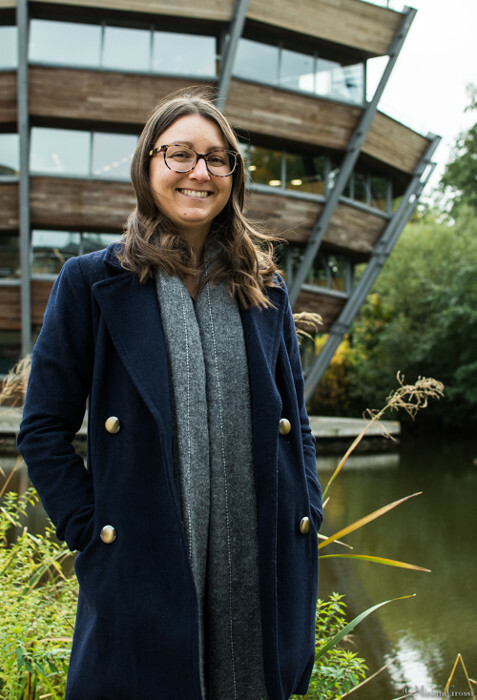 Jillian, born and raised in southern Indiana (United States), moved to England in 2014, where she is now Associate Professor of Tourism Management and Marketing at the University of Nottingham’s Business School. She is a tourism geographer with interests in authenticity in tourism motivation and experience, the ethics of sustainability, and mobilities and well-being. She is the Chair of the Recreation, Tourism and Sport Specialty Group of the American Association of Geographers. She is co-author of Tourism, Performance, and Place: A Geographic Perspective (Ashgate, 2014) and her most recent co-edited book is Authenticity & Tourism: Materialities, Perceptions, Experiences (Emerald, 2018). How is archaeological tourism understood in the US? In the US, archaeological tourism relates predominantly to two areas: indigenous cultural heritage and the early colonial/pioneer era. The extensive history and cultural diversity of the indigenous communities across the US has left many mysteries about their everyday lives. Because most of the indigenous peoples did not have written records, and because they were subjugated by colonial forces, there are many misperceptions about their cultural richness, technological sophistication and knowledge systems, as much of their identities have been written out of public education history textbooks. Archaeological tourism offers a way for Americans to better understand the variety of indigenous cultural heritage that once existed, and indeed still thrives, in some parts of the US. Beyond the museums that house relics, many former settlement sites are open to the public, including burial mounds, rock art sites, and even former city complexes, such as Cahokia. Such sites allow visitors to expand their understandings of indigenous cultures and better appreciate their sophistication. The second popular area of archaeological tourism relates to the colonial history of the US. This history is the foundation of the American identity and is therefore treated differently in the tourism context. Especially popular are the living museums where visitors can ‘step back in time’ and experience re-enactments of everyday life in a bygone era. From Colonial Williamsburg, which is one of the most popular heritage sites in the country as it presents a restored and recreated Revolutionary era village in Virginia, to the smaller sites that dot the landscape portraying pioneer villages, gold rush ghost towns, and abandoned dust bowl farmsteads, these types of archaeological tourism are robust in the American experience. Nearly every primary school makes visits to such sites as educational supplements to regional, state and/or national history learning units. As such, most Americans also have fond childhood memories associated with heritage re-enactment sites that rollover into parenthood, as they become repeat visitors to their favourite attractions in order to introduce their children and grandchildren to the places of American history. What role do you think archaeology plays in motivating American tourists to visit European destinations? Travel to Europe offers an engagement with culture and history that is quite different from North American destinations. It is a much more layered landscape of civilisation and change. As such, many American travellers are enthusiastic to see the iconic historical sites of past civilisations – the Parthenon, the Colosseum, Stonehenge, just to name a few. While there are certainly awe-inspiring natural landscapes in the US, it is Europe that amazes on the historical scale through architectural feats that are beyond impressive. Further, on the individual scale, many Americans tie some of their familial heritage back to European immigrants. As such, it is quite common for them to choose destinations that will provide some insight to their personal heritage stories. For example, those with Irish ancestry might obviously find the landscape and archaeological treasures of Ireland particularly rewarding. In this way, archaeological sites of Europe can provide not only a glimpse into the cultural past, but perhaps add material evidence to the family stories passed down through generations about the ‘old country’. What kind of research have you been conducting since you joined the University of Nottingham in 2014? My research has always examined the relationship of tourism motivation to experience. For the most part, I have examined the role of authenticity within this relationship. Prior to joining the Nottingham University Business School, I investigated perceptions of authenticity among visitors and staff at a pioneer village site in southern Indiana, and also researched the motivations to pursue existential authenticity for full time, travelling rock climbers. This vein of research has continued as I have collaborated with other academics interested in the theoretical dimensions of authenticity. As a result, we have been exploring the psychology of authenticity and the ethics of authenticity. How do you understand the concept of authenticity when it comes to heritage and archaeology? Authenticity is a complicated topic that is often debated in both research and public media contexts. Perhaps most controversial (and frustrating) is that authenticity has many different meanings. In other words, its meaning is contextual. In historical contexts, such as at museums and at archaeological sites, authenticity is often used as a term meaning ‘original’. It is also often associated with processes of authentication whereby experts assess genuineness and certify the object or the place. However, at sites where heritage and culture are not only on display but are also interpreted with narratives, authenticity becomes a more flexible term that can suggest symbolic appropriateness. In other words, a site combining original artifacts with reproductions and replicas in order to present visitors with a story of life in a particular place can also be interpreted as authentic if it corresponds to how the visitors had imagined it. Thus, you can see how popular media can shape visitors’ expectations of historical places. As films and television series bring a particular place and time to life, so too do visitors expect to see similar portrayals, whether these are accurate to the particular site or not. Mass tourism puts a lot of pressure on some archaeological sites. ¿How can we avoid that? Archaeological sites come in all sizes, from the massive, UNESCO World Heritage attractions that experience millions of visitors per year to the roadside attractions with barely a marker to communicate their significance. Obviously, some of these sites are better equipped to manage large numbers of visitors than others. As a result, care must be taken when promoting smaller scale archaeological sites, and especially rural sites, so as to avoid the pressures of mass tourism and the negative impacts of overtourism in areas that are not really prepared to receive that inflow of visitors all of a sudden. An important factor, then, is to not simply promote smaller scale attractions, but to work with local stakeholders to co-create a vision for the attraction and a sustainable tourism infrastructure. The whole effort (and here comes the main challenge) has to take into account the preservation of the heritage sites, contributing to local economies while not putting undue stress on community well-being. Working with local stakeholders fosters an understanding of the benefits they hope to gain from archaeological tourism and what types of tourists they want to attract, but it also promotes realistic expectations of the facilities tourists will need and the types of management strategies that should be in place in order to protect any vulnerable sites. Any favourite archaeological site in Spain? Within Spain, my favourite archaeological site would have to be Segovia and its beautiful Roman Aqueduct, as I prefer smaller towns and villages over big cities. In Segovia’s Old Town, which has been a designated World Heritage site since 1985, you are able to stroll through the narrow streets between the castle and the cathedral without the noise of crowds. You can leisurely explore the Jewish Quarter and the original route of the Roman Aqueduct with time to chase your curiosity in the local shops and the many medieval buildings that still survive in town, and sometimes you actually feel you have travelled back in time. What’s more, Segovia is set against the breathtaking backdrop of the Guadarrama Mountains, where a bit of hiking, as well as the local gastronomy of the surrounding villages, are always a big temptation! Jillian Rickly is Associate Professor in Tourism Management and Marketing at the University of Nottingham and collaborates with ArkeoPlanet as Strategic Adviser.